I worked as a freelance Costume Designer from 1989 to 2009. This included designing and constructing costumes for dance, theatre, and film. Managing my own business, I grew accustomed to working on multiple projects simultaneously. My later work focused on academic theatre and dance, with work at Vassar, Bard, and Barnard. 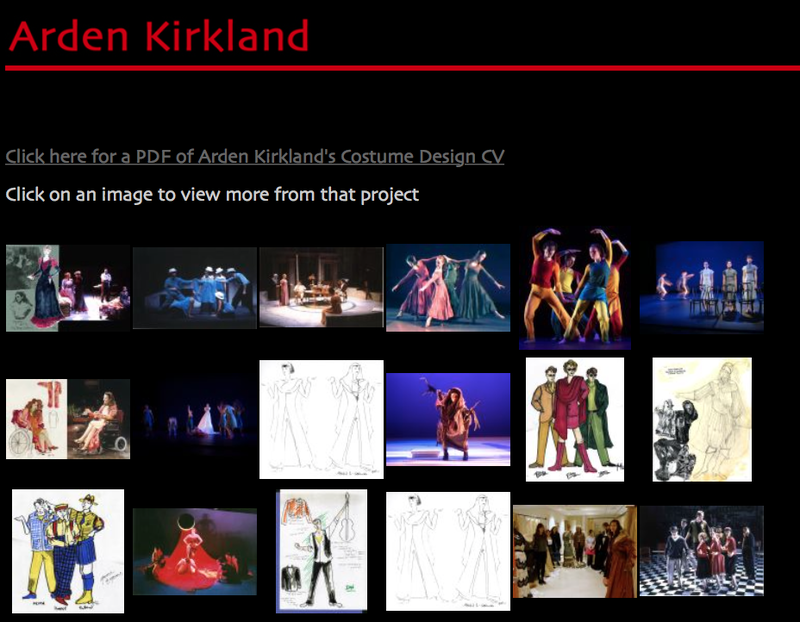 You can view my legacy portfolio and design resume at http://ardenkirkland.com/portfolio. While this page is now outdated in terms of web design, it does preserve a record of many of the design projects I worked on over the years, and the variety of my work.